Begin with one free month. 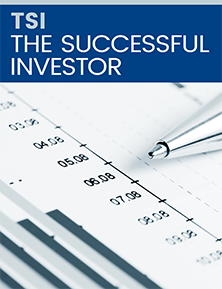 Then save $89.00 on a one-year (12 issues) subscription to TSI The Successful Investor. Your subscription includes digital and print delivery of your issues and weekly Email Hotlines, a full library of back issues, and more.